The St. Martin's Saints boys soccer team traveled to Baton Rouge to play the Baton Episcopal Knights. 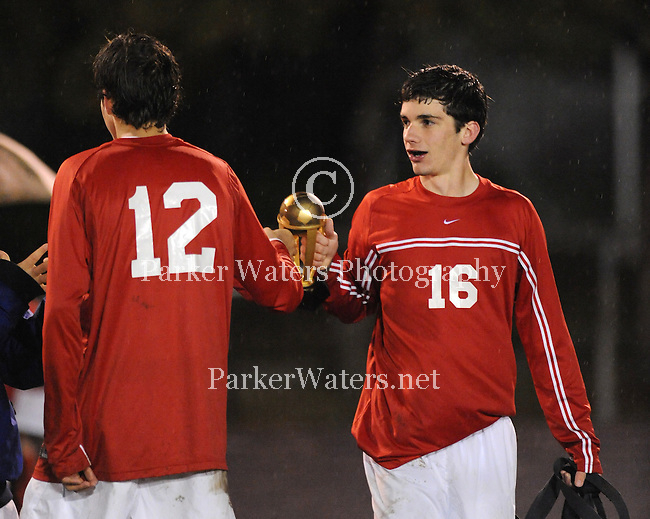 It was a cold and rainy night as the Saints defeated the Knights 3-2. Saints Martin's recaptured the highly coveted Bishops Cup while maintaining their number 1 ranking in the state and improving their record to 7-1-1.